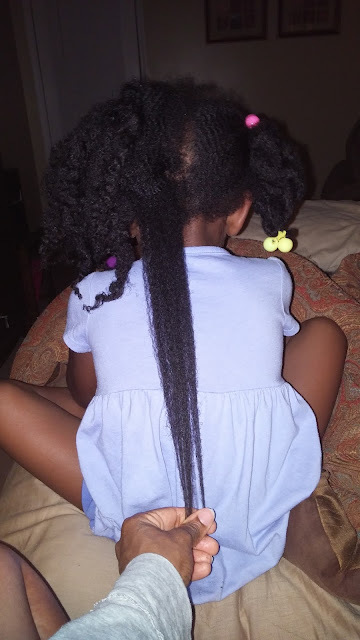 I've been so busy, but finally made time to post about the wonderful growth that's taken place with my daughter's hair. 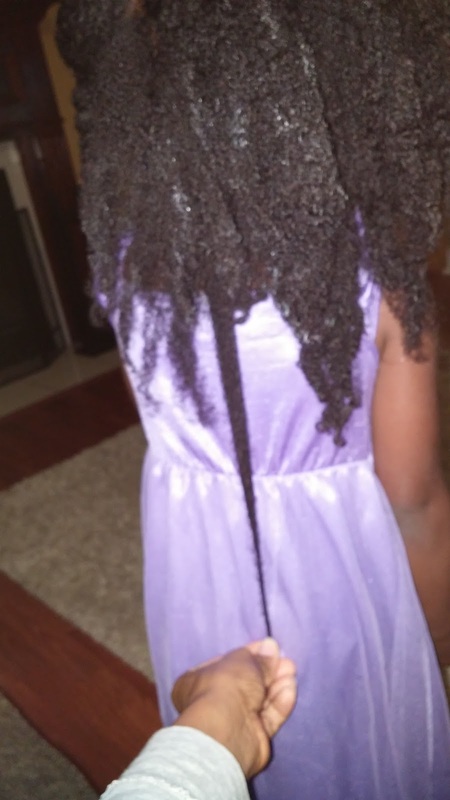 As far as her hair regimen, I haven't done anything out of the ordinary. I'm basically sticking to the technique that works best for her hair. I wash her hair every 2 weeks, finger detangle, and moisturize every night and that's it. I'm amazed at how fast her hair has grown since last year. I think she has passed her Mommy! Here are 6 simple steps that will start your hair growth. I promise this will work! Happy Growing!! 4. Apply a natural oil along with a good quality conditioner ( We love Aubrey Organics Honey Suckle Rose). 5. Rinse Hair and moisturize each section with a creamy leave in conditioner ( First ingredient should be water). Please focus on the ends of the hair. 6. Style the hair. I like to band her hair each day and plait her hair every night using the leave in. Remember lay off the heat for at least 3 months.